The last time I had my balayage refreshed was one year ago and until now I was pretty much satisfied how it month by month was blending with my natural color. However, for the colder months, I really wanted to get ashy toned balayage. For this, I’ve chosen the Hari’s Hairdressers salon. 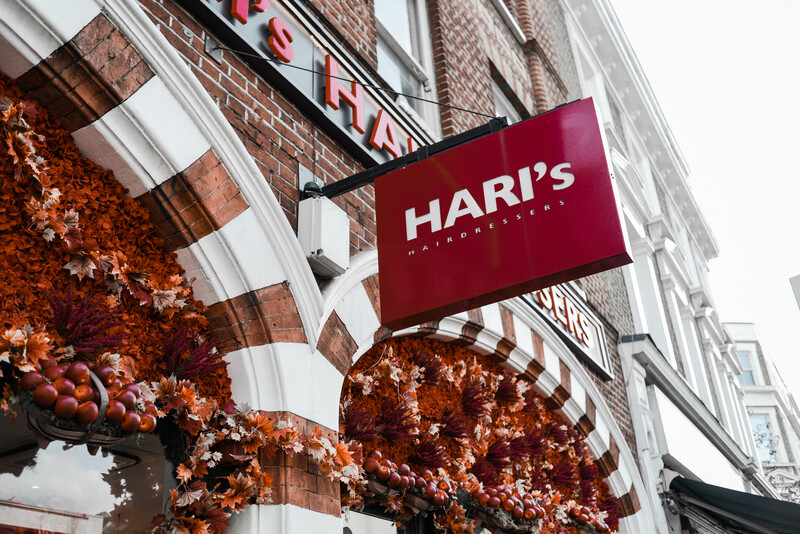 Hari’s – a small chain with branches in Brompton Road, Notting Hill, Kings Road, and Parsons Green. All of the branches look and feel differently, the one of Brompton Road is considered as a flagship salon and it has a very traditional English heritage feel, the one in Parsons Green is very family-friendly, my choice fell on the Kings Road branch and this is probably the busiest and funkiest salon of the chain. 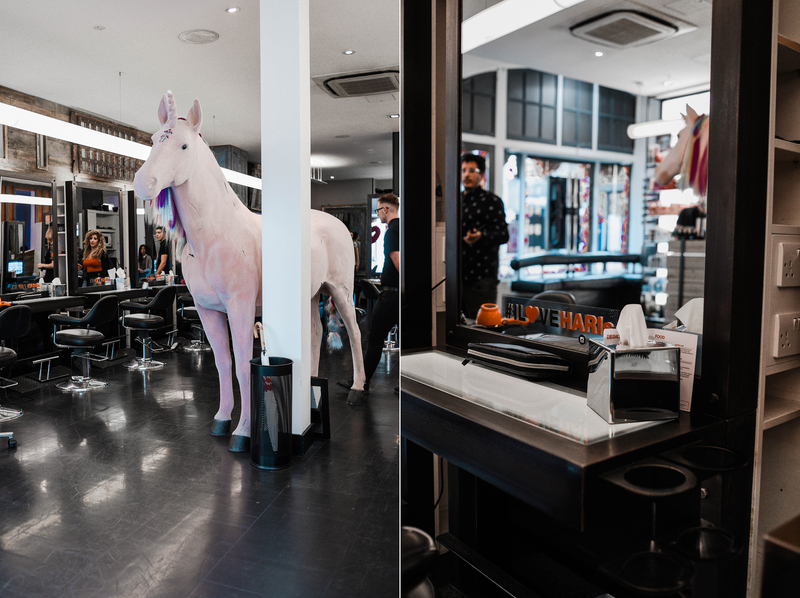 I noticed the funkiness from the very first seconds: loud music, bar area, and a massive pink UNICORN right in the center of the room. To say that I fell in love with the vibe from the very beginning is to say the least. You would think that with its A-list clientele and Chelsea postcode, pretentiousness would come as standard at Hari’s. But no, I was pleasantly surprised by its informality and friendliness. I was greeted by Francesca, Hari’s star colourist, I showed her some of the examples if the winter balayage that I aimed for and she got the idea straight away. 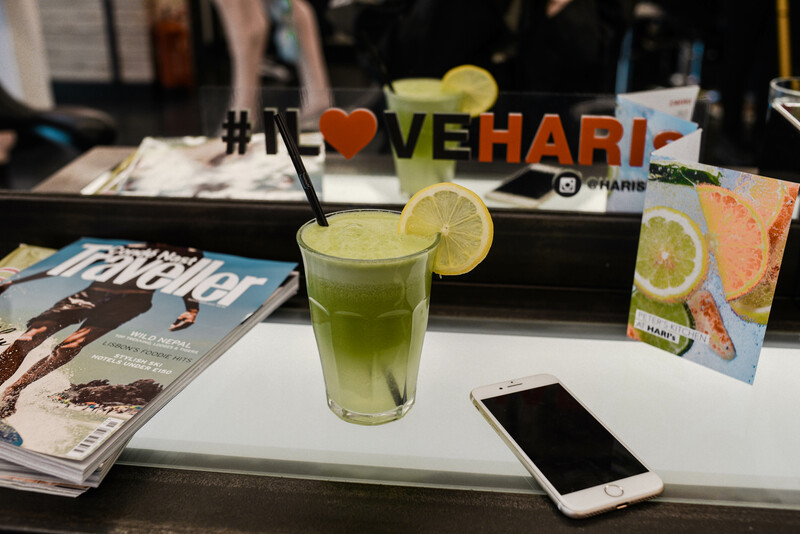 While she was mixing and preparing for winter hair painting, I ordered a freshly pressed juice from the bar, and it was so delicious and energising! If I lived nearby, I would come for this juice every day, I promise! Rather than the usual hidden kitchen area, there is a full-on bar at the back of a salon, which lends a wonderful party vibe (in fact, for the duration of my appointment, there were a couple of people who didn’t seem remotely interested in getting their hair done – they were just enjoying the drinks). The whole process took around 3 hours and it also included Olaplex treatment. 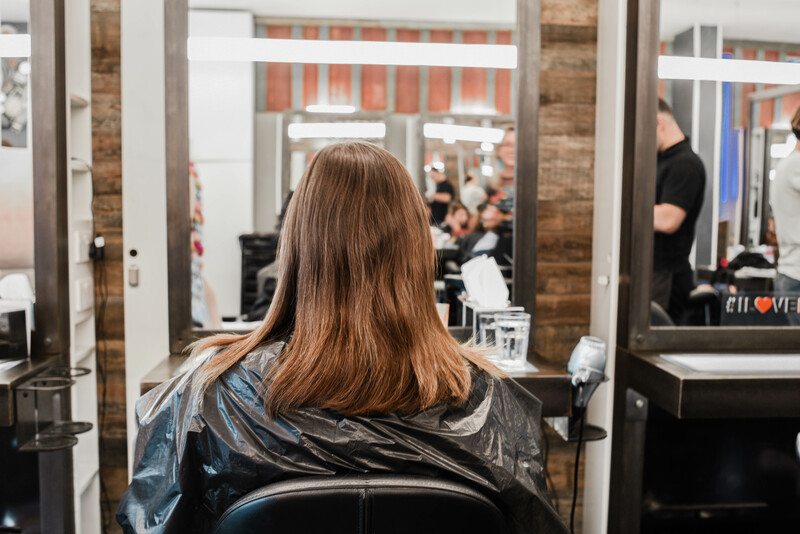 Olaplex is a system that permanently rebuilds the damaged disulphide bonds in your hair that are broken during the chemical process. 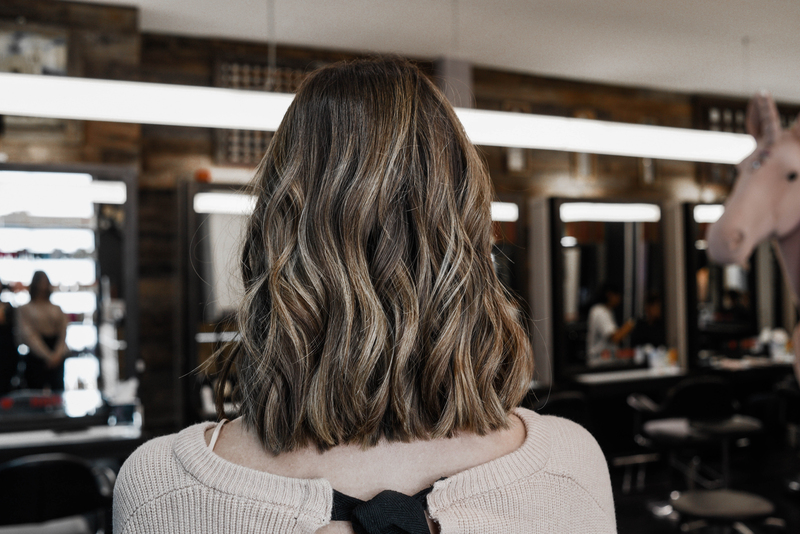 If you’ve over-bleached over the years, Olaplex allows you to rebuild the strength, structure and integrity of your hair; a ‘reset’ for your locks, if you will. The system has allowed colourists to do work that they’d only ever dreamed of before. Black to blonde in one session? No problem. My colouring wasn’t that advanced, but also included a lot of bleaching and toning, so I was glad that Olaplex didn’t make this whole process too damaging for my hair. After my balayage was done Jake gave me a trim and a beautiful blow dry that lasted 2 days. I’m really happy with my final look, new tones gave my hair that fresh breathe that I needed and I love how the highlights smoothly blended in with my natural colour in the roots. I stepped out of the salon looking and feeling sensational. 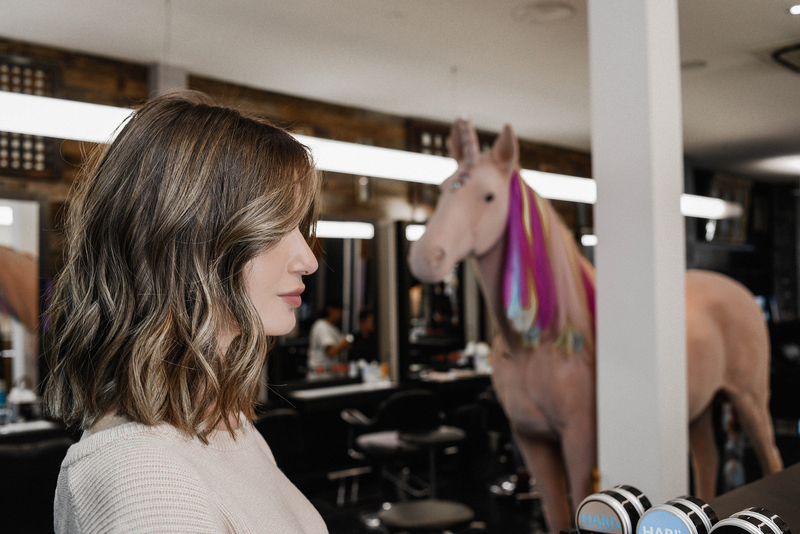 I can definitely recommend this salon for the highlights, ombre & balayage – the colourists here are all miracle workers and their range of top treatments will leave all hair types feeling like silk.